Because Jeff Bezos hasn’t yet figured how to wire your brain directly to Amazon’s warehouses, the company is experimenting with cluttering your home with special-purpose buttons in the name of e-commerce. Its new Dash Buttons can be put up anywhere—kitchen, bathroom drawer, broom closet—and programmed to put in a buy order for, say, laundry detergent, by syncing to the Amazon mobile app over the user’s home Wi-Fi network. The devices will go out to Prime customers by invitation only. It’s the acquisition gone wrong that’s become an ever-increasing legal battle: Bloomberg reports that on Monday Hewlett-Packard threw down a $5 billion lawsuit against the former executives of Autonomy, who, it has claimed for the past two years, misrepresented the U.K. software company’s fiscal health. A fraud probe in the U.K. ended when it found insufficient evidence for a prosecution earlier this year, but the U.S. Department of Justice is still looking into the case. For their part, the executives, Michael Lynch and Sushovan Hussain, are countersuing for £100 million. Belgium’s Data Privacy Commission says Facebook is violating European law by tracking web browsing of people even if they don’t have Facebook accounts or have opted out of tracking. The DPA commissioned research that shows the social network places tracking cookies on web users’ computers even if they just visit fan pages within its domain, and those cookies generate reports back to Facebook if someone simply visits a third-party site that carries a Facebook plug-in. Both would seem to violate EU privacy laws that require prior consent for placing cookies or tracking. Microsoft wants laptop diehards to switch over to its lightweight Surface 3 tablet, which it says will offer PC-like performance and be eligible for a free upgrade to Windows 10 later this year. Priced from US$499, the tablet offers an entry point below the Surface Pro 3 tablet, which starts at $799. It will ship in 26 countries starting in May. Over the past two years, a sophisticated cyberespionage group that appears to operate from Lebanon has used web servers as entry points to break into systems of defense contractors, telecoms operators, media groups and others, Check Point Software Technologies said Tuesday. The campaign is still active and has targets in at least ten countries; the security vendor plans to release another report when it has more information about the victims. In an indicator of just how sloppy many companies still are when it comes to IT security, a recently uncovered malware program is being used to do reconnaissance for targeted attacks against companies in the energy sector—and it’s using a vulnerability in Microsoft Office for which a patch has been available since April 2012. Symantec identified the malware that’s been used in spear-phishing attacks: Trojan.Laziok is mainly used to collect information to determine if a compromised system is worth further attention from the attackers, who may then deploy additional malware to gain remote access to the infected system. Verizon customers can now opt out of having a unique identifier placed on their phones that critics have labelled a “supercookie” because it’s virtually impossible to remove. Verizon said Tuesday that the controversial identifier won’t be inserted for customers who opt out of its mobile advertising program. That’s not enough for privacy advocates, who say many customers won’t be aware of the program and that Verizon should make it “opt in” instead. A U.S. Supreme Court ruling on Monday confirmed that law enforcement use of GPS trackers is a form of search that’s covered by the Fourth Amendment to the Constitution, which protects against unreasonable search and seizure, the Atlantic reported. “It doesn’t matter what the context is, and it doesn’t matter whether it’s a car or a person. Putting that tracking device on a car or a person is a search,” Jennifer Lynch, a senior staff attorney at the Electronic Freedom Foundation, was quoted as telling the magazine. 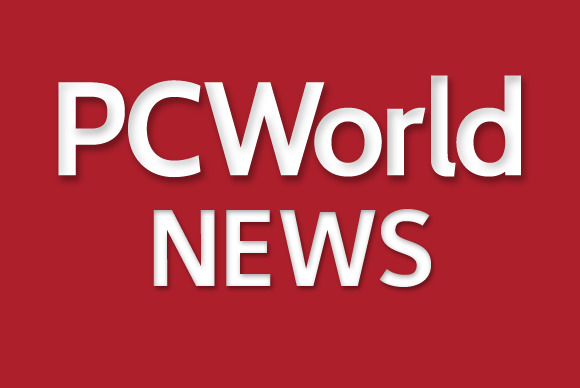 PC World reviews the new HTC One M9. Veteran tech journalist Dan Gillmor reviews the latest Steve Jobs bio in Slate—and points out what’s missing from both this and the earlier portrayal of this complicated man.